We have all the latest screen printed and embroidered gear for your Saber at Sports Ink! T-shirts, baseball caps, duffel bags, winter beanies, sweat shirts and even sweat pants! 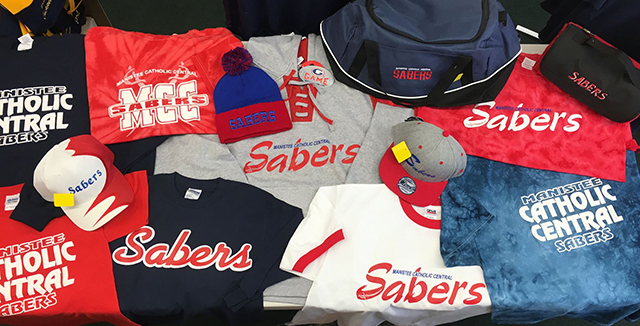 Stop by Sports Ink for your official Manistee Catholic Central Saber merchandise!